Dylan Baldi, frontman and founding member of Ohio's Cloud Nothings, treats 405tv to an acoustic rendition of 'I'm Not Part of Me'. 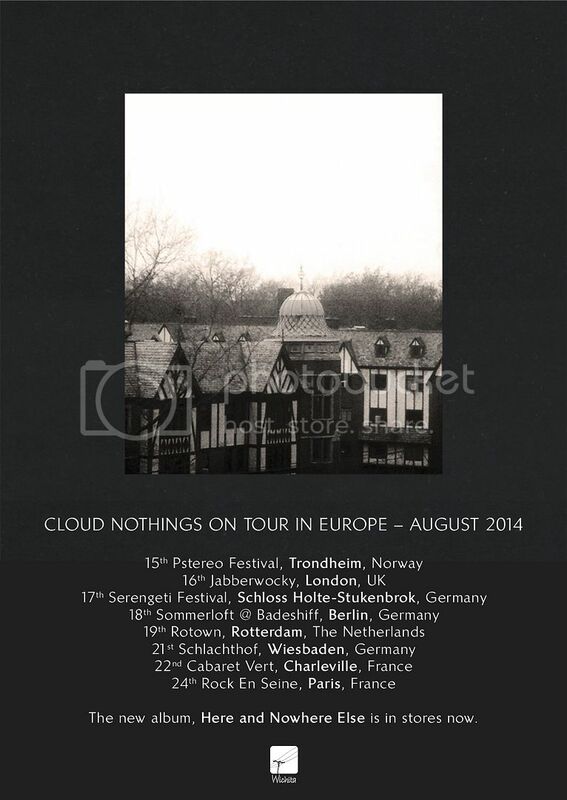 Back in April we were all left open-mouthed after the release of Cloud Nothings' Here and Nowhere Else. It rightly received critical acclaimed across the boards (you can read our review here) for its infectious garage-rock infused tracks giving a jagged edge to pop-punk. Cloud Nothings were in London on 27th May to play a sold out headline show at Scala and we were able to secure some time with the humble Dylan Baldi, who played for us an acoustic rendition of single 'I'm Not Part of Me'. We were anxious to hear how the defiant energy of the album would sound stripped-back and unplugged; it seems Dylan was anxious to play it too, as he broke a string while tuning-up.